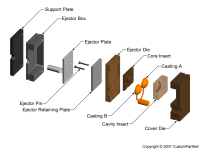 The dies into which the molten metal is injected are the custom tooling used in this process. 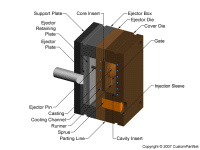 The dies are typically composed of two halves - the cover die, which is mounted onto a stationary platen, and the ejector die, which is mounted onto a movable platen. 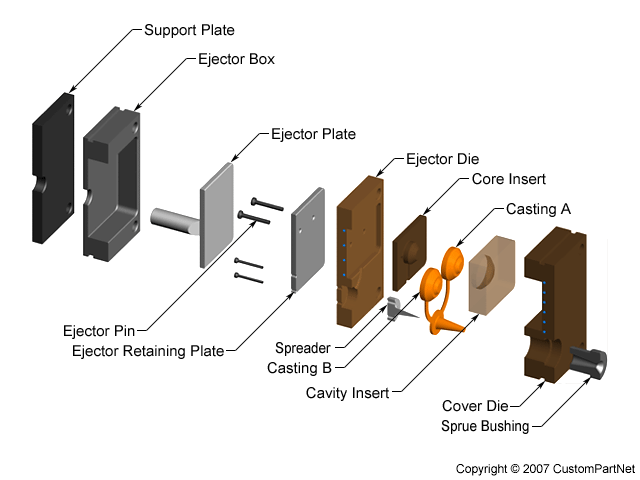 This design allows the die to open and close along its parting line. 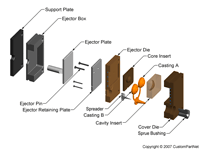 Once closed, the two die halves form an internal part cavity which is filled with the molten metal to form the casting. 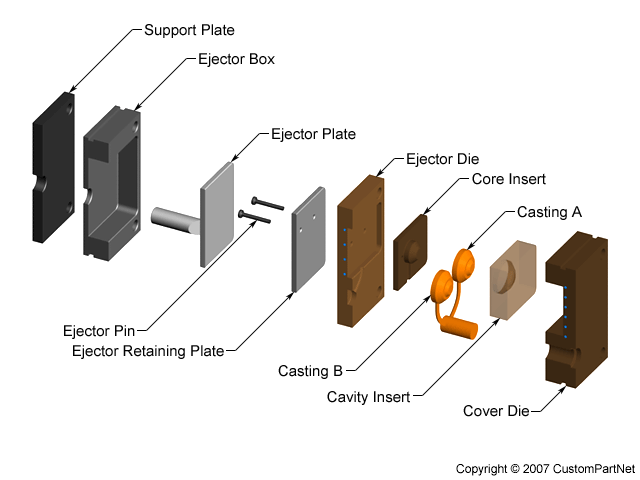 This cavity is formed by two inserts, the cavity insert and the core insert, which are inserted into the cover die and ejector die, respectively. 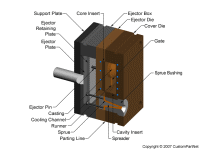 The cover die allows the molten metal to flow from the injection system, through an opening, and into the part cavity. The ejector die includes a support plate and the ejector box, which is mounted onto the platen and inside contains the ejection system. 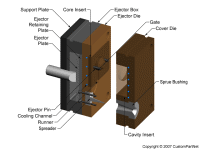 When the clamping unit separates the die halves, the clamping bar pushes the ejector plate forward inside the ejector box which pushes the ejector pins into the molded part, ejecting it from the core insert. Multiple-cavity dies are sometimes used, in which the two die halves form several identical part cavities.